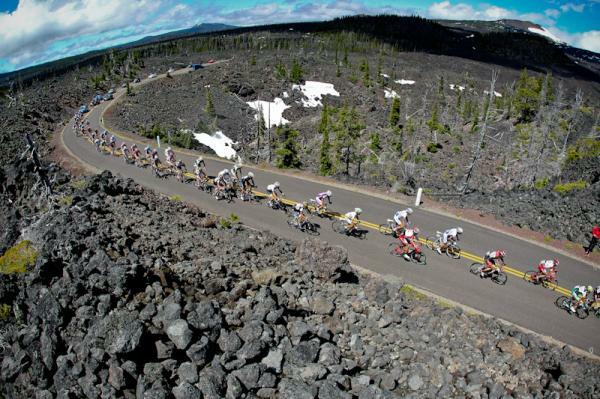 I had a blast racing this past week at the Cascade Cycling Classic in Bend, Oregon. It was good from the moment we stepped off the plane. 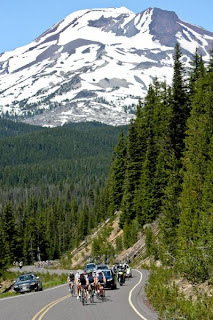 The cool mountain air was such a relief after the hot and stuffy Pennsylvania weather. It finally felt like I could take a full breath of cool air. I went a week earlier with Lauren and Janel to cut down on travel time and costs. It was nice to ride and admire the scenery without a maxed out heart rate while going cross-eyed... that would come later in the week! We also had the opportunity to walk around town a bit and check out some of the much-loved Bend restaurants. Janel was very excited at the Mexican restaurant that they sold a dish that used a specific kind of fungus that grows on corn.. hmm the concept of eating corn fungus did not sound particularly appetizing, but my opinion changed upon trying it! Every morning started with a massive bowl of peanut butter/banana oatmeal and a little Tour de France for inspiration for the day, though I’ll admit I usually fell back asleep and missed a lot of the live finishes..
Jon Devich- Prologue.. my road rash is healing well! The first day of racing included a short prologue in the Old mill district of town. The time gaps were not too important since the race was so short and there were many stages to follow. 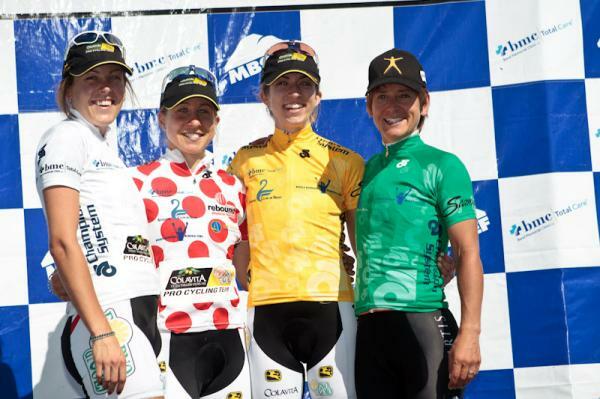 Canadians ruled the podium in this stage with Tara Whitten in first, Clara Hughes in second and me taking the White best young rider jersey. Big Springs Snow Park – Three Creeks Snow Park. The first 74-mile road stage was hard. There was a 20-mile climb up Mackenzie pass followed by a 10 km finishing climb, talk about brutal! 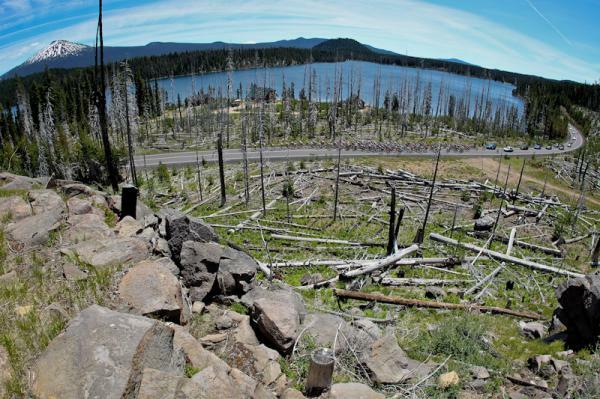 The lava landscape at the top of Mackenzie pass takes your mind off the pain for at least a second. Riding got a little bit easier when I finally realized my back tire was going flat during the race..haha smart move. A simple mistake of forgetting to drink and eat enough didn’t help nearing the end of the race, so simple yet sooo important. Andrea Dvorak from my team demonstrated how strong of a climber she is by placing second on the stage! Next stage was the 16-mile time trial, a simple out and back course, climbing on the way out and descending on the way back. Even though there are hardly any turns on the course, it is still hard at times to keep your bike going in a straight line with all the bumps and holes in the road! There was talk after the race of rallying racers to pool some money to repave the road.. haha. Janel rocked it and placed 5th. Stage three wasn’t quite as brutal of a course as the first day, but still finished on a 10 km climb up Mt. Bachelor. 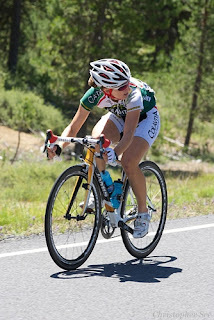 Janel was our highest ranked rider at 5th going into the stage, so we did not really have anything to lose. With this in mind, everyone on the team traded off both initiating and following the continuous steam of attacks. Finally after the millionth attack something finally stayed away. I managed to bridge across to the break, and it eventually grew to 11, including 3 colavitas! We stayed away going into the final climb where a fast pace caused the group de deteriorate. Rushlee rode amazing and attacked at the end to win the stage for the team! photo Jon Devich- Break with the chase not far behind.. 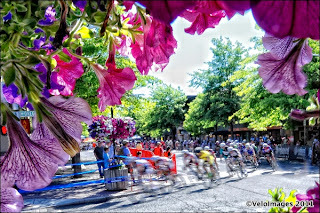 Stage four was finally a flat, 50 minute crit in downtown Bend. The crowds were absolutely amazing, I think the whole town came out to watch. A break escaped later in the race including teammates Lauren and Kristin. Kristin drove the break enough to keep it away and Lauren used her sprinting skills to power to overtake the other riders at the line for the win! My most favourite photo from the whole race! 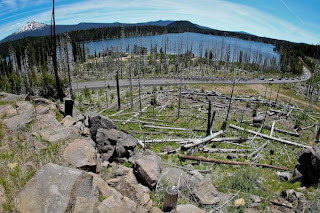 Stage five included four laps of a challenging 16 mile course starting right at Summit high school in Bend. It was a rolling course with a steep 2 km climb. The climb tricks you into thinking its over halfway by flattening out, but then it just kicks up again. Before the race we basically decided as a team that we were going to try and win the race, or completely blow ourselves up trying. Janel was in 8th going into the stage, just over a minute back. We attacked a lot in the first two laps. Those efforts combined with the heat really had me thinking I would be dropped. Thankfully the pace got a little more manageable when a break finally got away which included Janel. 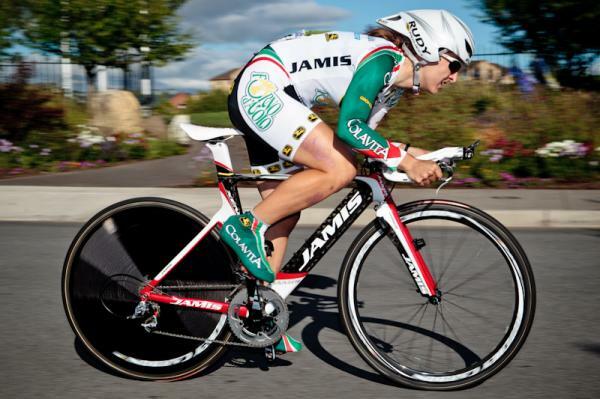 The break shrunk to 4 riders, and then just Anne Samplonius and Janel were left at the end. They ended up building up a 2-minute lead, Janel was second on the stage, but the time gap put her in the yellow jersey! Rushlee led the chase group in for 5th place and kept her lead in the White jersey, and Andrea collected enough points throughout the week to keep the snazzy polka dot jersey. I finished in 17th overall. The new time gap also put Colavita/Forno d’Asolo into first on the overall team standings! Seriously amazing, such a perfect example of what dedicated teamwork can accomplish. Jon Devich- Colavita wins 3/4 jerseys! We had to drive back to Portland to catch flights the next day, but the week just was not complete without some sort of celebration. The famous “Voodoo doughnuts” in Portland was a perfect destination! Only Janel, Kelly and I ended up going out, but it was worth it! Maple and Bacon is actually a delicious combination. Seriously try it.